Why go? Manhattan needs no introduction, it’s the city that never sleeps where you can eat, shop, party and pamper yourself silly. It’s worth visiting any time, but summer’s a smart choice for many reasons. One is that it’s more affordable, with many hotels and restaurants running promotions throughout July and August. There’s also lots going on, including outdoor festivals and free music and film events. And while it’ll most likely be hot and humid, it’s fun to see how the residents of this great metropolis cool off in its parks and beaches and rooftop escapes. You really must… Think about what part of town you stay in – ideally go for a neighbourhood that’s close to the water or Central Park, or pick a hotel that has a rooftop pool. In the summer much of the action moves to the waterfront. At weekends until 29 September you can take a free ferry across to green and leafy Governors Island (govisland.org), and there’s another free weekend service linking Pier 11 to Red Hook in Brooklyn (nywatertaxi.com). You can also get some sea air on the famous Staten Island ferry (siferry.com) and a trip to the Statue of Liberty (statuecruises.com), which re-opens on 4 July following repairs to damage inflicted by Hurricane Sandy. For a longer and more leisurely cruise, take a three-hour circle around Manhattan (circleline42.com). On your bike: is it time to join the Manhattan cycling craze? New York is also having a cycling moment – in May it introduced a bike-sharing scheme (citibikenyc.com) similar to those in London and other European cities. It’s more expensive than here (£6.50 for 24 hour access) and it’s best to use the dedicated bike paths and lanes (pick up a free map at cycle shops or see here). Other ways to bike Manhattan are to rent one from Bike & Roll (from £25 for half a day, 11 locations, bikenewyorkcity.com) or book a guided group tour with Bike The Big Apple (bikethebigapple.com) – their five-hour Brooklyn Bridge and Skyline at Twilight tour (£55) is a good choice for first-time visitors. On the cultural front, catch PUNK: Chaos to Couture at the Metropolitan Museum of Art (until 14 August, metmuseum.org), then have a cocktail in the 5th floor Roof Garden Café. For a guide to Central Park see centralparknyc.org, where you can download a free app and celebrity-rich audioguide, and see cityparksfoundation.org for information on the free Summerstage music events held in many parks until 29 August. For open air movies visit riverflicks.com and bryantpark.org, and don’t forget that New York has 14 miles of beaches (www.nycgovparks.org). 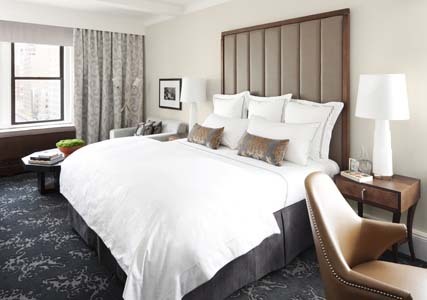 Stay at: On the Upper East Side, The Surrey (thesurrey.com, doubles from £394 with breakfast) has 189 elegant and contemporary rooms set inside a 1926 Beaux Arts residence, plus a spa and smart French restaurant, Café Boulud. The star attraction for summer visitors is its 17th floor rooftop garden (open from early August), plus you’re just a short stroll from Central Park (East 76th St). Be sure to borrow the hotel’s complimentary black Bobbin bicycles painted in The Surrey livery, which come with a stylish chrome helmet and a wicker basket perfect for popping in a picnic or a few carrier bags from the fabulous shops on nearby Madison Avenue. 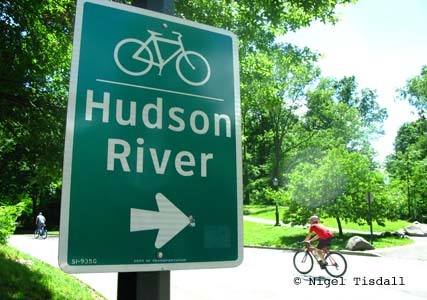 For more accommodation options, including a list of summer offers available till 2 September, see nycgo.com. Dine at: Time your visit between 22 July and 16 August and you can take advantage of New York Restaurant Week (nycgo.com/restaurantweek), when hundreds of eateries offer discounts and deals. One dining spot worth booking ahead is The Loeb Boathouse (thecentralparkboathouse.com), a romantic, perfect-for-summer lakeside restaurant in Central Park that opened in 1954 and serves excellent fare – try the grilled swordfish (£21) or roasted Amish chicken (£20). You’ll find plenty of buzzy, al fresco places to eat and drink in the cobbled Meatpacking District, or seek out Gilligan’s beside the Soho Grand Hotel (sohogrand.com), a summer pop-up with strings of light bulbs and white wooden tables. Here you can tuck into easygoing mains and pizzas backed up with invigorating frozen watermelon margaritas (£10). For a drink with an eyepopping view, take the lift to Jimmy, a rooftop bar and pool set on the 18th floor of The James hotel (jameshotels.com). Open till 2am from Thursday to Saturday with a DJ, it’s made for warm summer nights drinking ginger mojitos (£10) to a backdrop of twinkling skyscrapers. Bring home: Some new sunglasses – See (three locations, seeeyewear.com) has fashionable frames from £64. 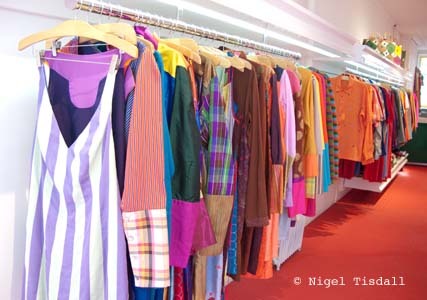 For cheerfully coloured summer clothes and accessories make a beeline to Alpanabawa (alpanabawa.com) in Nolita, while Lisa Perry (lisaperrystyle.com) on Madison Avenue has bright, bold designs inspired by pop art and 60s/70s styles. Book now: British Airways (ba.com/newyork) has flights from Heathrow, from £755 return in July, or get there in style aboard its all-business class service from London City airport, from £2,520 return. When you arrive, take one of the famous yellow taxis into the city centre (£37), and don’t forget you’ll need a visa-style authorization (https://esta.cbp.dhs.gov/esta/). Info: DK Eyewitness New York (£14.99; DK) is an up-to-date guide, and there’s lots of useful info at nycgo.com. Get in the mood by watching Woody Allen’s Manhattan and reading Central Park: An Anthology (£10.30 at amazon.co.uk; Bloomsbury). For free wifi hotspots around the city see nycwireless.net.